Titanium Baby Car Seat - It is available for only R1499.99. Add The Crazy Store to your favourites! Add ToysRUs to your favourites! Add Toy Kingdom to your favourites! 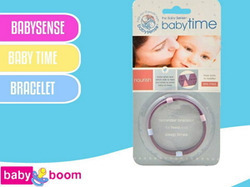 Baby Boom is one of South Africa's largest retailers specialising in baby products and featuring an assortment of trusted brands. See the Baby Boom catalogue for a special near you. 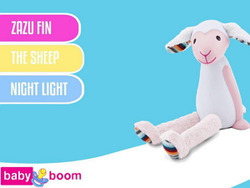 Baby Boom is a leading retailer when it comes to all things tailored to babies, expectant mother and parents as well as products for kids ages new born to 3 years old. Every new parent needs all the help they can get with the new member to their family and you'll find that travelling items such as Baby Boom prams are available in a wide selection whether you're expecting a new born, twins or have a little one and need some travelling essentials. 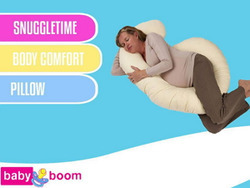 See the Baby Boom catalogue for all the latest specials on selected items. 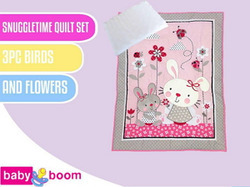 Baby Boom has everything you may need as new parents to be or whether you need something for your young child. Product categories include accessories, camp cots & mattresses, nappies & wipes, baby cosmetics, diapers, pins, potties, baby safety, travel systems, toys, furniture, baby food, and maternity essentials just to name a few. Some of the Baby Boom brands include the likes of Avent, Addis, Intex, Infacare, Carriwell, Candid, and Johnson & Johnsons as well as many more international trusted brands. Stores are located throughout South Africa. Baby Boom started making its mark in the retail industry in the 1990's and have always been dedicated to bringing the best of baby products to the public. Since its establishment, the company has flourished and today it boasts 38 stores in all provinces of South Africa. Baby Boom has been recognised as a leading shopping destination for baby goods. Are you an expectant mother, parents or need to get some products for your little one? 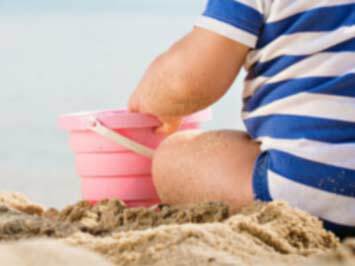 Visit a Baby Boom near you for all products catering for infants to ages 3. There are always Baby Boom specials available and you can view the latest baby Boom catalogue on Tiendeo or visit the store website for more details. Customers can view the website for lots of tips and information for them and their new baby. The "Boepie Club" allows subscribers to get all the latest news and information on Baby Boom deals on selected items. Customers can also register for the Stork Registry in order to get some nice gifts for their baby shower and choose from a wide variety of items needed for yourself and your baby. The website also has excellent features such as an ovulation calculator, due date calculator, development tracker and ideas for baby names. Do you want to receive more Baby Boom deals by email?